It's easy to find, and plenty of free parking on-site. Find us! Get a glimpse at the course curriculum. Learn More! 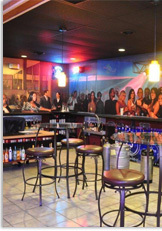 Welcome to the best bartending school in Maryland, Baltimore, and Washington DC. We are proud of our success stories and want you to be the next! If you're looking for the cost of the program - fill out the form to the right. In between jobs? Tired of your current position? In need of extra money? 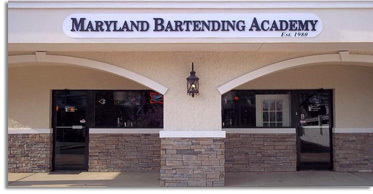 Why not let the Maryland Bartending Academy show you how you can begin a new and exciting career in bartending in just two short weeks. Our school is the best way to put yourself on the road to a fun and brighter financial future. Not sure if you're ready to attend bartending school? Test drive with a free introductory class! Most everyone agrees that education is the best way to get ahead these days... unfortunately, trade schools can cost thousands of dollars and take months even years to complete... Bartending, on the other hand, is a skill that you will have for a lifetime. Here at MBA not only will we have you ready for your new career in two weeks but we will then assist you with job placement. What are you waiting for? Want proof that we are the best? Need more information?.. Come in today and talk to our instructors.. they can answer all your questions! Or - to get all the facts you need, including tuition costs, fill in the form on the right! Visit our friends at the Bartending School in Pittsburgh!